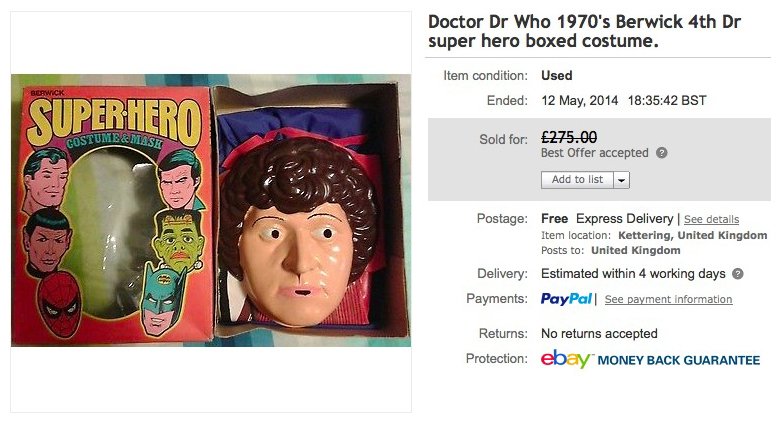 We all have the impression that dressing up and cosplay is a relatively new thing in the world of Doctor Who, but an item on eBay shows it goes back a bit further than you’d think. 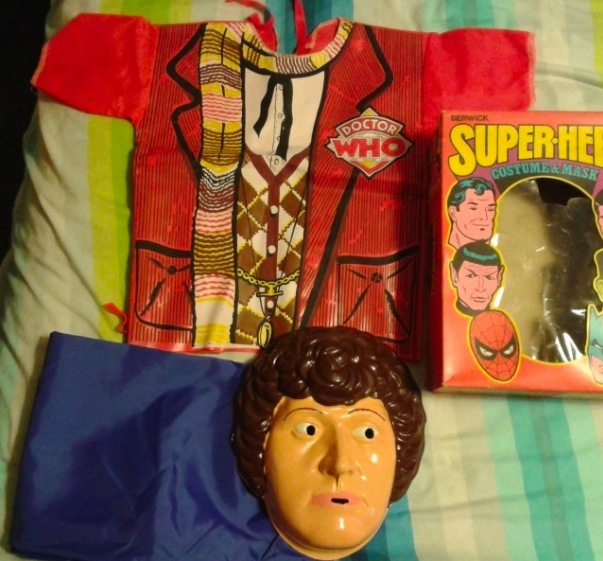 Up for auction is a boxed Berwick Doctor Who 4th Dr dress up costume which is in excellent unused condition with a very small minor crack to the mask, the box is in great shape for its age with damage to the plastic which has been repaired with sellotape. 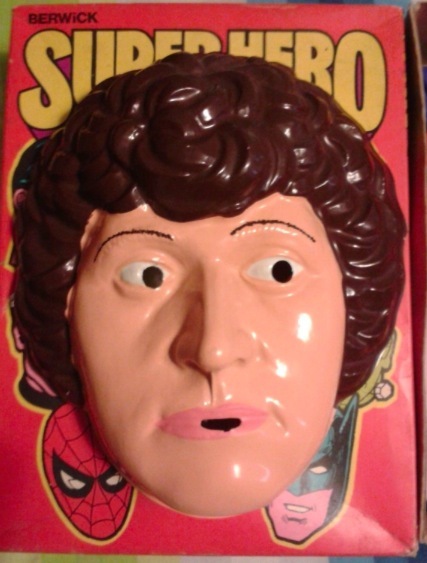 The dressing up playsuit dates from 1976, and I gather was discontinued the following year. During that time barely 300 sets were sold, making this a bit of a rarity. 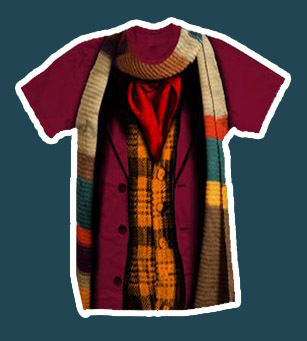 The thing that particularly catches my eye is the tunic, which bears an uncanny resemblance to the t-shirt made by Forbidden Planet a couple of years back. It has you wondering if there was a tad of inspiration there!